This week our Notable Knight feature is highlighting SSPP Alum, Ashley Hartman. Ashley attended Saints Peter and Paul School from Pre-K all the way through 8th grade. Ashley said that she is grateful to her parents for choosing SSPP. 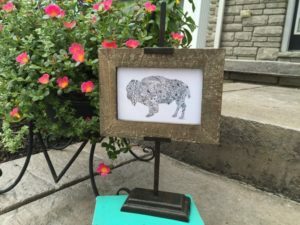 After leaving SSPP, Ashley continued her education and immediately upon graduation from the University at Buffalo, accepted a position at Disney World. Ashley remains at Disney and loves the career and life she has built in Florida. Ashley describes Saints Peter and Paul as, “welcoming, learning, and religious.” Ashley’s advice to current students would be, “Never give up on your dreams. You never know where it might take you. Find something that you are passionate about because that’s what makes for the best type of education and future job experiences. Education is very important so enjoy it.” It looks like Ashley has followed her own advice; she turned her SSPP education and experiences into an exciting career at the most magical place on Earth, Disney! Dr. Richard Rogenthien is a retired Doctor of Optometry who got his start across the street from his alma mater with Dr. Krop at Williamsville Optical. He never saw himself as a doctor, in fact, Dr. Rogenthien wanted to play center field for the NY Yankees- his love of baseball evident in the photo above. Dr. Rogenthien has been married to his wife, Christine, for 47 years and together they have two sons, Steven and Todd. Dr. Rogenthien recalls countless fond memories of his time as a student at both SSPP and Neumann High School. His favorite teacher during his time at SSPP was Sister Mary Ancilla, who he describes as a “gentle, kind, Christian educator.” He credits the Sisters of St. Francis and the parish priests at SSPP with giving him the discipline and regimentation to continue on throughout his life, “The Sisters got me through high school, my years at Canisius College, and my time in the service.” When asked to describe SSPP in three words, Dr. Rogenthien shared, “loving, fulfilling, and memories.” Dr. Rogenthien has a passion for SSPP founder, St. John Neumann. He plans to share the history of our church/ school founder in a narrative skit with current SSPP students this spring. John Henninger brings the best of Buffalo food to NYC as owner of a chicken wing company, Dan and John’s Wings. “Never in a million years” was John’s response to being asked if he ever envisioned himself as owner of a chicken wing company while a student at Saints Peter and Paul. Although John left after 7th grade, his time as a student as SSPP, has had a profound impact on his life. His description of the school in three words would impress, although not surprise, anyone who knows our beloved school well, “faith, community, and strength.” There is a tie between Mrs. Jan Vogel and Mrs. Sandy Whistle for John’s favorite teachers. He credits them both with teaching him kindness and acceptance at an early age. 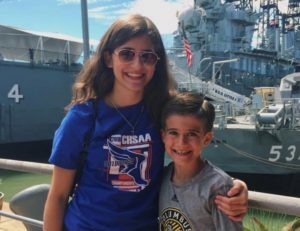 John would offer to all current students this piece of advice, “family and friends are more important than screen time and television. Go outside, explore nature and pray whenever you can, God hears you. One day you’ll look back and understand there was a plan for you!” And while John certainly did not expect to own a chicken wing company as part of God’s plan for him, it sounds to have worked out wonderfully. 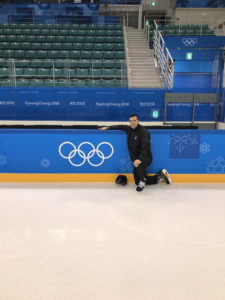 As a student at SSPP, Fraser McIntyre enjoyed participating in school plays, little did he know he would eventually be featured on the world stage as part of the 2018 Winter Olympics. Fraser set a goal for himself after many years refereeing men’s hockey across the country, he wanted to referee the Olympics. His goal was achieved this past winter when as travelled to Pyeongchang, South Korea as a Men’s Olympic Ice Hockey Linesman. As a student as SSPP, Fraser’s favorite teacher was Sister Pat. He admired her ability to engage all of her students. He also loved her commitment to the school as a volleyball coach and her enthusiasm for playing sports at school picnics. 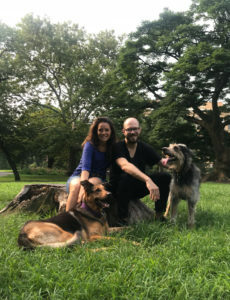 Fraser resides in Amherst with his wife and two children. He works at Stalka Insurance Agency down the street from SSPP, but his true passions include spending time with family and time spent on the ice! 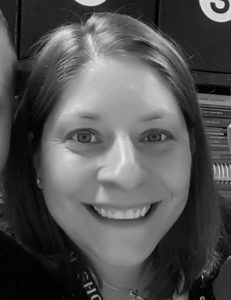 Donna Quagliana Purkey is a Navy wife (for more than ten years) and mother of two young children. She is also an author, educator, and motivational speaker. 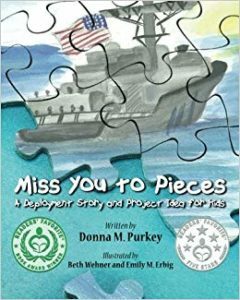 She wrote Miss You to Pieces in an effort to share her family’s unique and fun puzzle project idea and to provide comfort and encouragement to her readers whose parents are deployed. She has traveled to 42 of the 50 states, as well as to Mexico, Spain, France, England, Morocco, and Gibraltar. She lives in southeastern VA with her family. 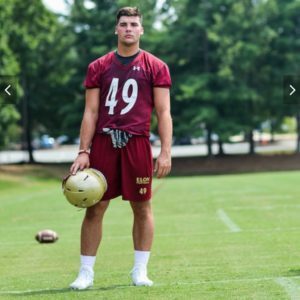 SSPP alum, Matthew Foster is entering his junior year at Elon University where he majors in engineering and minors in physics and starts as the tight end on the football team. This past summer Matt stayed on campus to build an Optical Coherence Tomography Laser System which will be used for imaging and possibly treating skin and breast cancer. Matt explained, “The benefits of this type of imaging is that you are able to see much smaller areas in much higher detail: 10 to 100 times better than an MRI scan.” In the future, Matt will be working to attach a therapeutic laser to the system for the minimal invasive treatment of cancerous cells. For his inspiring work in the classroom and on the field, Matt has been nominated for an Academic All American Award.